The first phase of K. Leimer’s recorded work began in 1972 with the production of the Grey Cows cassette and culminated in 1983 with the release of Imposed Order. Though work seemingly stopped following the release of I/O, Leimer continued to record and experiment with sound during what proved to be a 15-year interregnum for his Palace of Lights label. That work, never before issued, is included in this expanded remaster. Imposed Absence features 10 tracks recorded in the years between Imposed Order and his return to releasing music with The Listening Room. I/A features the addition of Mellotron and early digital synths, some excursions into lo- and, unusual in his catalog, a few improvised tracks. 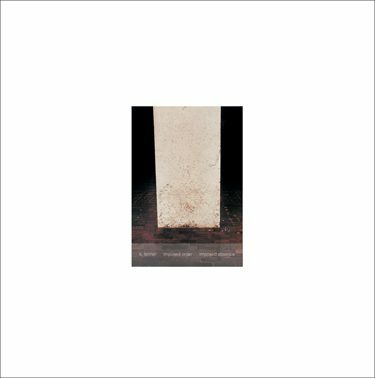 Combined with the VOD double album of his earliest tape recordings and RVNG’s A Period of Review double album, the release of Imposed Order / Imposed Absence brings the entirety of Leimer’s early work into view. Remastered by Taylor Deupree at 12K Mastering, the LP includes a 4-page booklet and download card for all 19 tracks.